I have become increasingly fascinated by flood-plain meadows – an under-rated habitat which provides us with a wealth of benefits yet is one of our most threatened. One of my first jobs in nature conservation was to carry out a survey of unimproved meadows in Wiltshire, most of which lay in river floodplains. This showed me how rare they are: an astonishing 97% of our species-rich grasslands has been lost since the 1930s, mostly due to agricultural intensification. 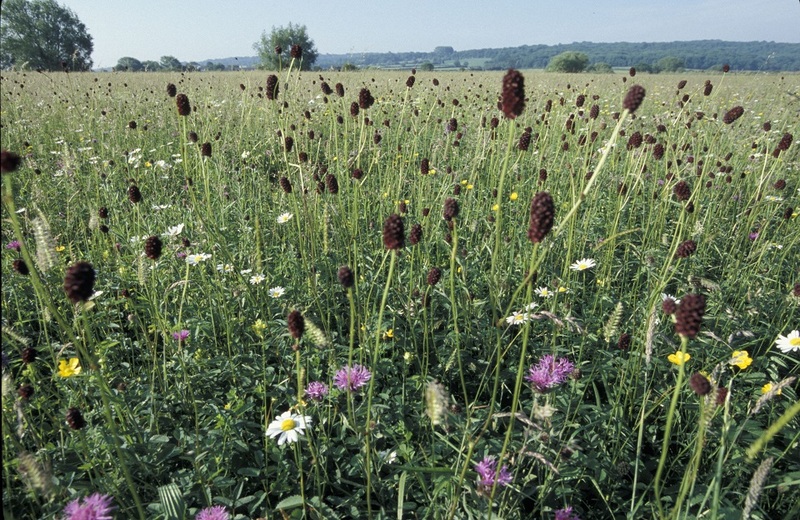 Now only around 1,200 ha of species-rich floodplain meadows remain in the whole of the UK. Ten years ago, I was approached by Professor Gowing of the Open University about setting up a long-term partnership project to gather best practice information on their management, restoration and creation. Generous funding from various charitable Trusts enables the employment of an Outreach and a Research co-ordinator to work with local communities and organise surveys. This really is a win-win project, with several PhD students working on research issues. There is a regular newsletter and we have just published the fabulously informative Floodplain Meadows handbook, a comprehensive and easy to read guide to their history, wildlife, hydrology, management and creation. The Environment Agency supported its production and I helped with editing the text and writing the water chapter. The value of floodplain meadows goes way beyond their beauty and wildlife - the many benefits we get include storing floodwaters, keeping soil and nutrients out of rivers and helping to protect water quality. Floodplain meadows are naturally productive without artificial fertilisers, recover well after floods, and remain productive during droughts. Their varied plants support a wealth of pollinating insects, and provide valuable nutrients and minerals for grazing animals. Many of the farmers I met in the 1980s told me they kept their meadows as “hospital fields”, because sick animals grazing them recovered without the need for a vet. We are beginning to realise the importance of seasonally flooded grasslands for carbon storage, and to appreciate their vital role in replenishing aquifers and natural flood management. They also provide us with inspiration for great literature and art, joy and solace. I am lucky enough to live near 2 classic examples in Wiltshire: North Meadow and Clattinger Farm, of national importance because of the rare snakeshead fritillary. Once so plentiful that local people thought nothing of gathering them by the armful, fritillaries are now restricted to a handful of meadows in Oxfordshire, North Wiltshire and the Midlands. 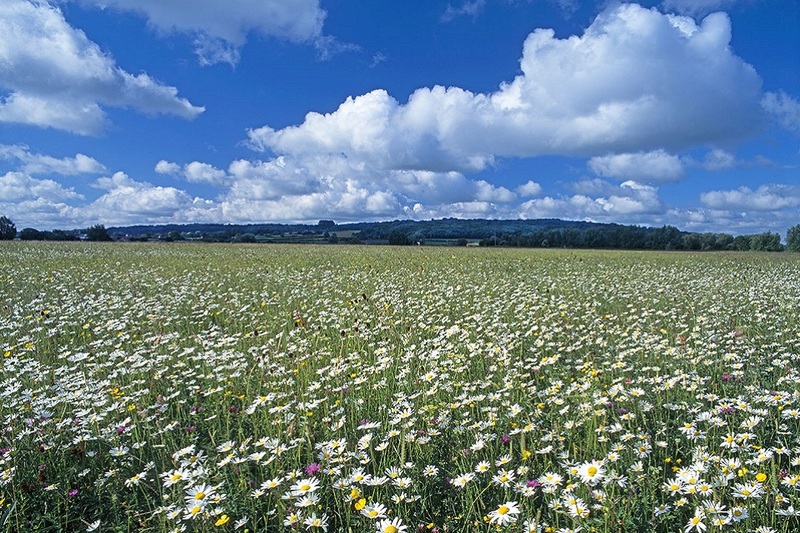 These meadows are now a magnet for tourists and highly prized by local communities. Species-rich floodplain meadows evolved under a pattern of seasonal winter flooding and regular grazing. Without this, they rapidly become coarse and dominated by just a few very vigorous plants such as meadowsweet. So they rely on traditional agricultural management, without artificial fertilisers or herbicides. A hay cut in early July is followed by “aftermath” grazing during autumn and early winter, until the land becomes too wet. Natural flood management is an important area of my work. We need to make our towns and cities more resilient to the extremes of our changing climate, especially floods and drought. The unintended consequences of land drainage and agricultural intensification over the last 80-100 years are compacted soils and the removal of many of the features that gave roughness to our landscapes. So during intense rainfall, water rushes off the land and overwhelms our rivers and their floodplains. By working better with nature and restoring habitats – such as floodplain meadows – we can slow, store and filter the flow; replenish our drinking water; help to protect vulnerable communities and extend the life of our flood defences. The Floodplain Meadows handbook is a great reference document. It explores their “beauty and utility” and gives invaluable information to those wishing to help restore their value to society. Of all the many publications I have been involved with, this is the one of which I am most proud. The Floodplain Meadows project is one of the best I have been involved with, a true partnership aiming to raise awareness of an unsung habitat that provides multiple benefits to us all. I read your article with interest. I have about 18 acres of land in the Wiltshire Floodplain south of Devizes. The land was cut for hay and grazed last year but remains poor ,the only plants thriving are sedges, meadow sweet and Himalayan balsam which is infernally difficult to irradiate. I would like to create a flood plain meadow on about 3 acres and will read the booklet you highlight. If you have the time I would welcome a visit for your opinion on suitability and action. You can find more details of methods to diversify sites in the Floodplain Meadows handbook mentioned in the blog. You may also want to contact The Wiltshire Wildlife Trust as they may be able to give more detailed site specific advice. Thank you Kathryn. I will first get the book and then pop up the road to Devizes to WWLT.